Line of handy bungee cord models works in all weather conditions and comes with lifetime guarantee. How many times has the bungee cord come in handy on your farm or ranch? How many other times have you wished the bungee was a little longer, had an additional tie down or would bend in cold weather? The Perfect Bungee lineup of tie-downs are made from weather resistant (they remain flexible in the cold) polyurethane, and stretch up to twice their length. They come in a variety of colors and sizes and work to hold down, hold in, and hold onto loads of various sizes and shapes. For more information on The Perfect Bungee, click on www.justduckyproducts.com. 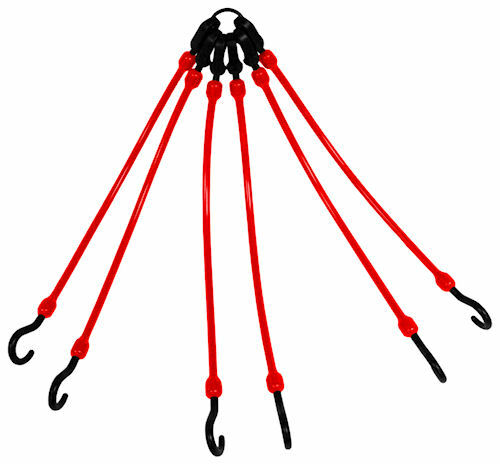 The Flex Web is one of several models of handy tie-downs in the The Perfect Bungee line from Just Ducky Products. Perfect Bungee models are rated for all weather conditions and come with a lifetime guarantee.